The call by the cruise vessel “AIDAcara” on Sunday, 7th April, marks the beginning of Kiel’s cruise season 2019. Dr Dirk Claus, Managing Director at PORT OF KIEL (SEEHAFEN KIEL GmbH & Co. KG): “The upcoming cruise season will be very exciting and we will welcome a lot of new ships to Kiel. 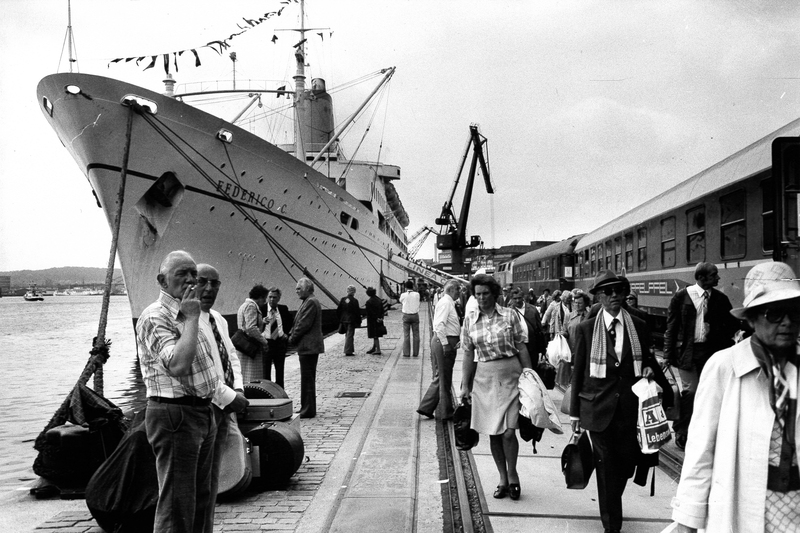 The economic importance of nautical tourism for Schleswig-Holstein is continuing to increase. More than 2.2 million passengers are expected in the port of Kiel alone this year, forecasting record numbers like 600,000 cruise passengers and 1.6 million ferry travellers. Last year, Kiel was visited on 169 separate occasions (143 in 2017) by 34 different cruise ships with a total gross tonnage of more than 11.5 million – an increase of 15.3 % over the previous year. The building construction of the second Ostseekai terminal building for cruise passengers is about to start. 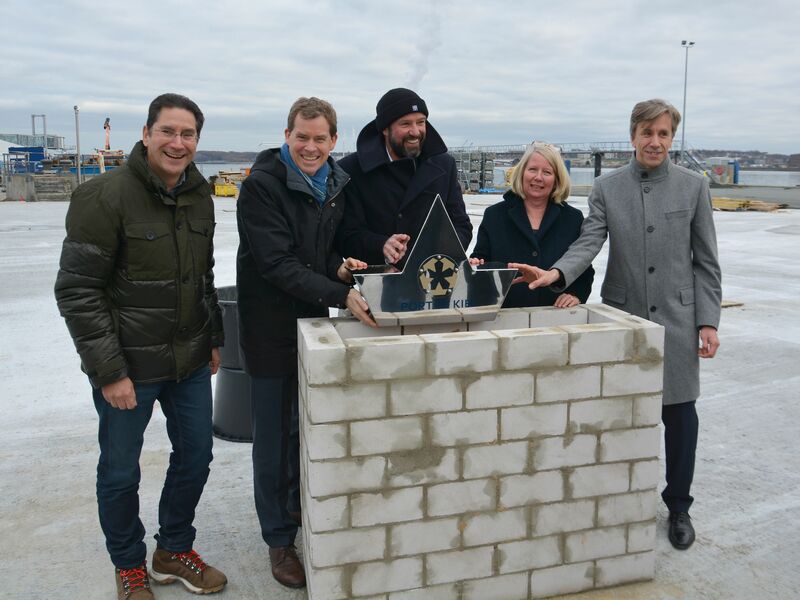 Kiel’s Lord Mayor Dr Ulf Kämpfer, Town Councillor for Urban Development Doris Grondke, PORT OF KIEL Managing Director Dr Dirk Claus as well as the architects Christoph Roselius and Ralf Dieter Ladwig jointly laid the foundation for the new building on 27th November. 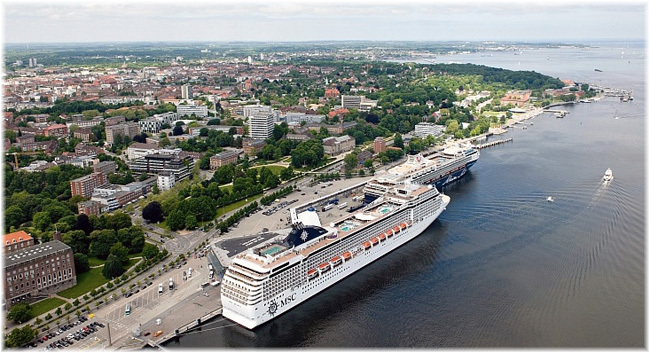 Kiel closes its latest cruise shipping season on Sunday October 28th with the visit of the “AIDAbella”. This year the port has been visited 166 times by 33 different cruise ships with a combined gross tonnage of more than 11 million. The cruise ship “Viking Sky” sailed into the Kiel Fiord on her maiden visit to Kiel early on Tuesday morning escorted by a water fountain display from a local tug. This Sunday, (02/09), Kiel says goodbye to the Costa Pacifica cruise vessel for this year’s season. 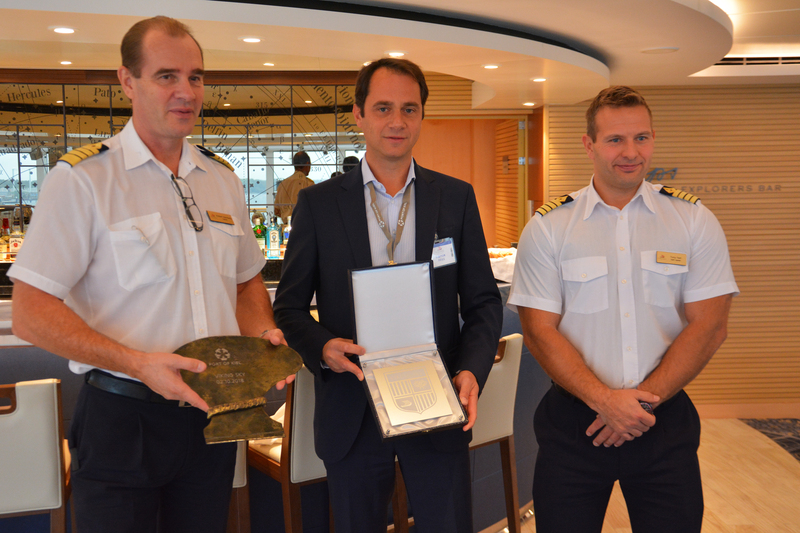 To mark the over 40 years of partnership between the shipping company, the city and the port, Hans-Werner Tovar, City President, Dr Dirk Claus, Managing Director PORT OF KIEL, Captain Paolo Viscafè and Dr Jörg Rudolph, General Manager Costa Germany, unveiled a bronze plate on Kiel’s Walk of Cruise Ships at the Ostseekai Terminal. The biggest cruise ship of this year’s summer season arrived in the port of Kiel on Saturday April 28th at the end of a journey across the Atlantic. 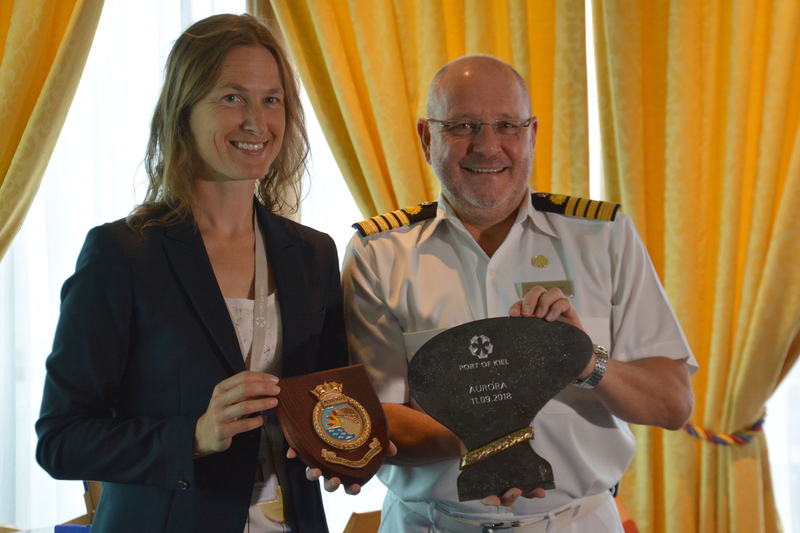 The Federal State of Schleswig-Holstein, the Federal State capital Kiel, the Seaport of Kiel and the Costa Group came together on Thursday, April 26, 2018, aboard the cruise ship “AIDAluna” to set out the ways in which they will be stepping up their existing collaboration. A second handling centre for cruise ship passengers and their luggage is being built at Kiel’s Ostseekai Cruise Shipping Terminal. Artist’s impressions of how the new building will look when complete have been made public for the first time at the ITB Berlin – the world’s leading trade fair for the travel industry. Sea cruises are being rated ever higher on the tourism scale in Schleswig-Holstein. This year, more than 2 .1 million sea travellers are expected in Kiel and 600.000 of them – or 17 % more than last year – will be cruise ship passengers. More than 1.5 million ferry ship passengers are also expected. Last year Kiel was visited on 143 separate occasions (147 in 2016) by 29 different cruise ships with a total gross tonnage of more than 10 million – an increase of 7.5 % over the previous year. For the first time ever more than half a million travellers boarded or left cruise ships in 2017 – 513,500 to be exact, an increase of 6 %. The 2017 cruise shipping season ended in Kiel on Saturday, October 21st, with a visit from the “AIDAvita”. This year the port was visited on 143 separate occasions by 29 different cruise ships with a combined total ten million GT.